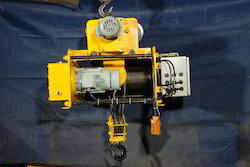 We have gained international acclaim due to our strict qualitative parameters in the manufacturing of Electric Wire Rope Hoist. We have gained international acclaim and testimonials from our clientele for the high quality that we deliver consistently. We are equipped with the state-of-the-art infrastructural facility which helps us to meet the industry requirements. We have gained international acclaim due to our strict qualitative parameters in the manufacturing of these products. These are easy to use and have a long life. 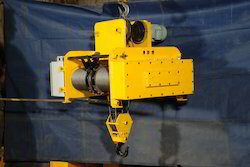 We offer a unique range of Electric Chain Hoist that we manufacture and supply is widely appreciated by our various clients. The design, materials and specifications are subject to change for improvements without notice.